Another superb quality and slightly more unusual silver brooch by Geoffrey Bellamy for Tarratt the Leicester based jewellers. 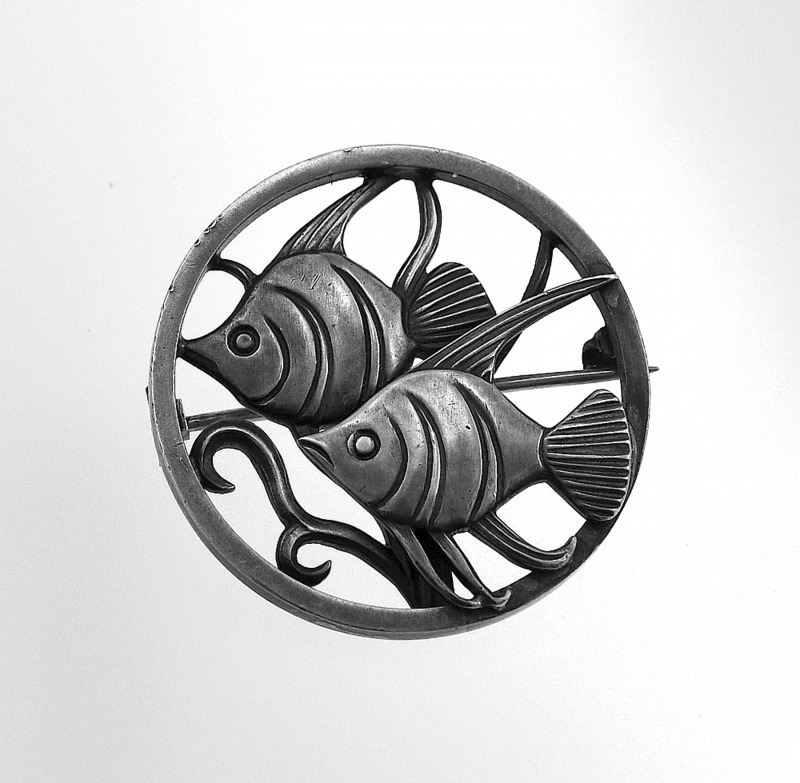 This brooch has a circular frame within which are two angle fish in front of fronds. It is fully hallmarked for Birmingham 1959 with the Tarratt sponsor's marks and has Geoffrey Bellamy's facsimile signature and "no. 13" incised on the rear, which is presumably the number for the design. Highly collectable and eminently wearable, this brooch will give hours of pleasure to the wearer.